It is rather a logistical challenge to skip north by public transport and get back to the trail, so I am excited that Felix seems to have figured it all out! 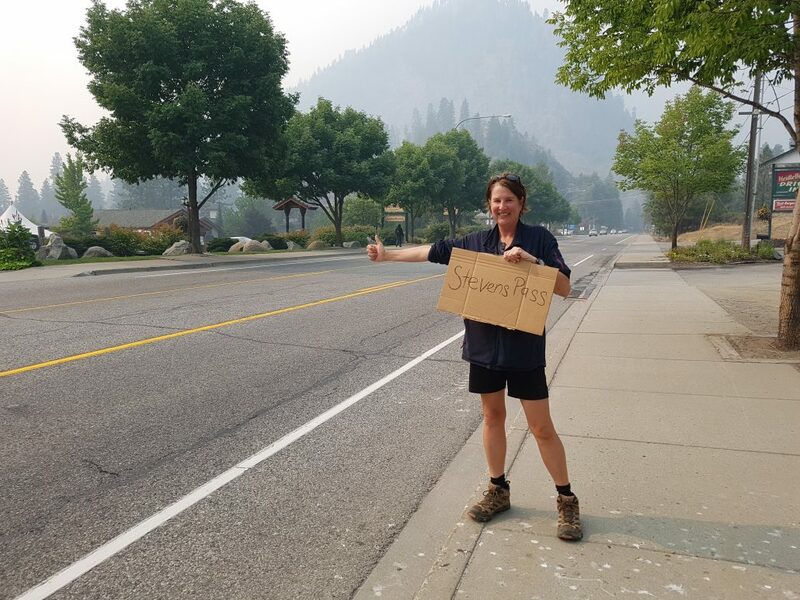 It does make sense though to hang out in Leavenworth a little longer and monitor the fire and smoke situation from here for the moment. We are all knackered from that brutal day yesterday, so we are happy to just hang out in our beds. We only go outside to get food. 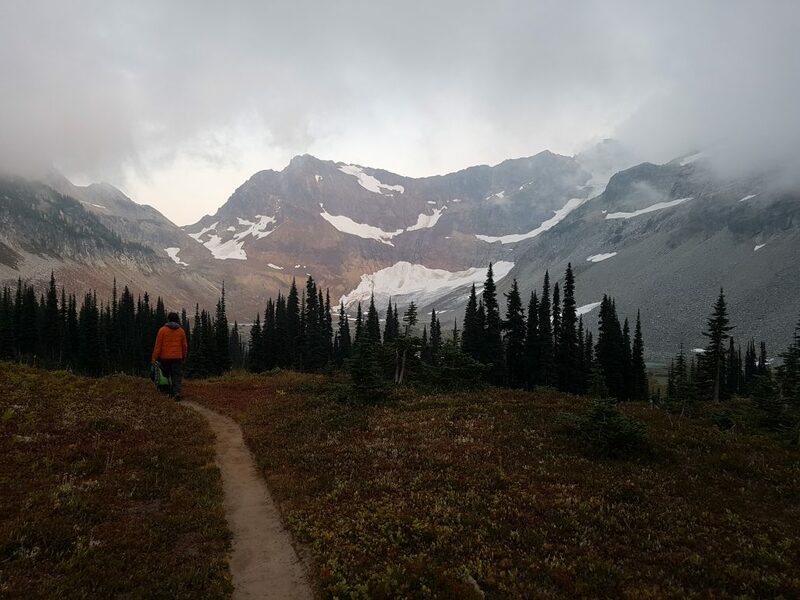 Unfortunately, we have a special chore to do: since we did not come out of the trail at Steven Pass as planned (because we had to do the smoke shortcut), we couldn’t pick up our resupply boxes there. So we have to hitch to the pass and back. Each ride, once we get a ride, will take us about 40 mins. That’s done, we are back in Leavenworth and fill up our bear bags with trail food (yeaks!). We watch a rental DVD and go to sleep. Time to get up already to make it to the first of the three busses we will ride today. 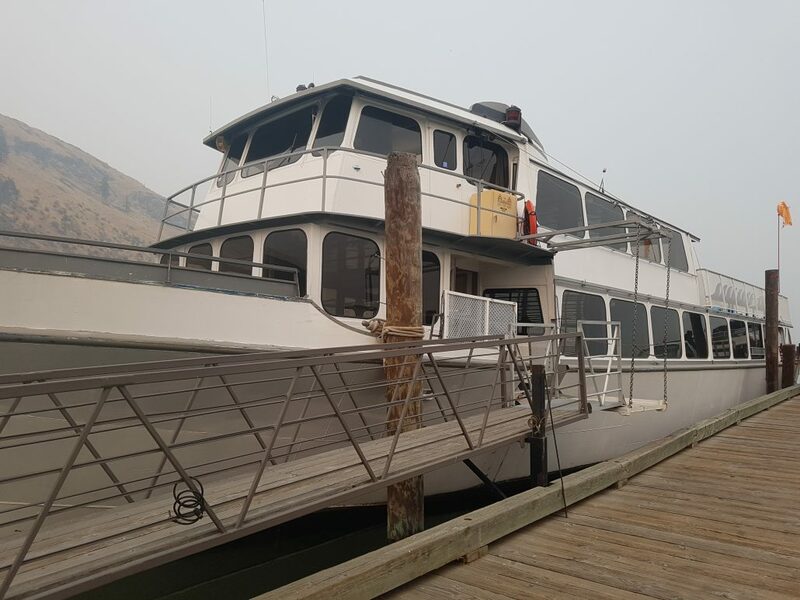 We finally reach Lake Chelan, see the boat and hop on. Oh my! 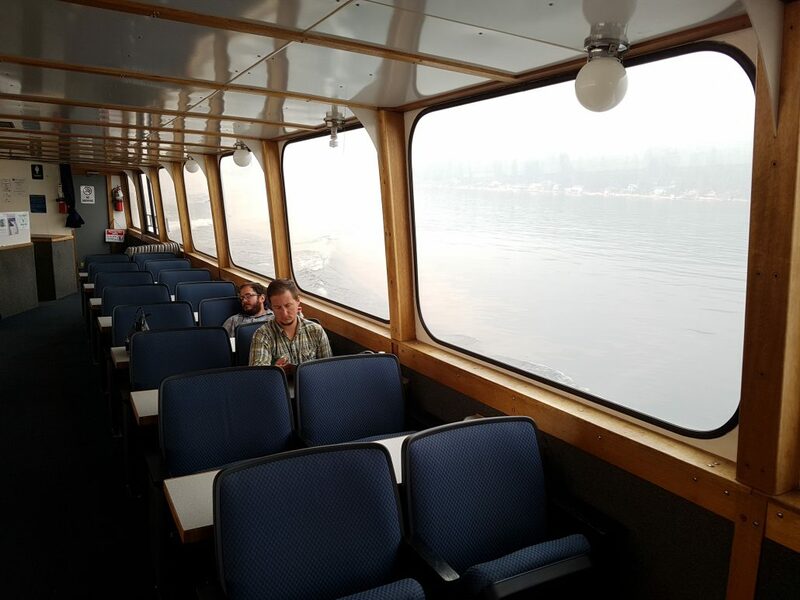 Pretty bloody damn smokey out here still! Will we be able to finish the PCT? The trip on the boat takes us three hours. I sit outside on the upper deck (despite the terrible air quality), the guys prefer to stay inside and have a nap in the case of Felix. In Lucerne (!) we get off the boat. 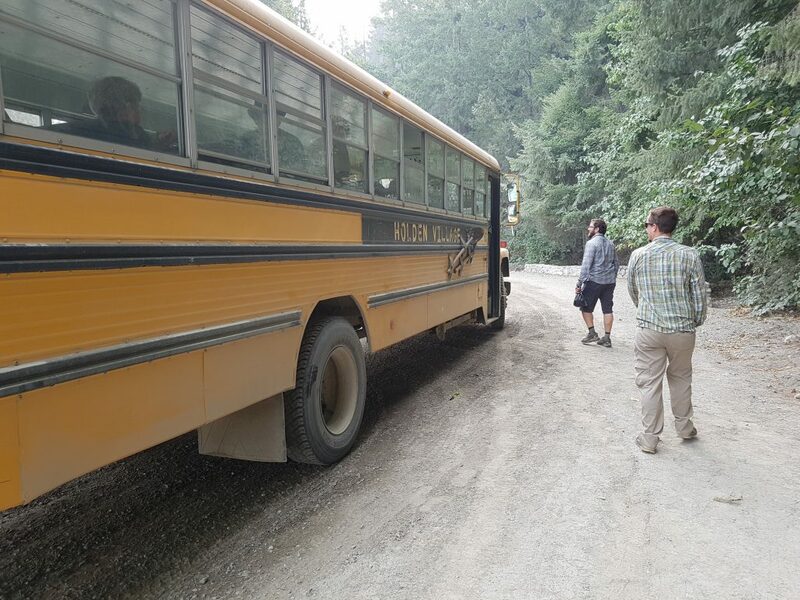 One of these typical American School Busses you see in many Hollywood movies is waiting for us, ready to give us as a ride up to this super remote village of Holden. Holden used to be a mining town in the olden days and has later been converted into a sort of family vacation place. It’s so cool here that we decide to spend the night before heading back out towards the trail. Also, this gives us a little more time to see what the smoke is doing. 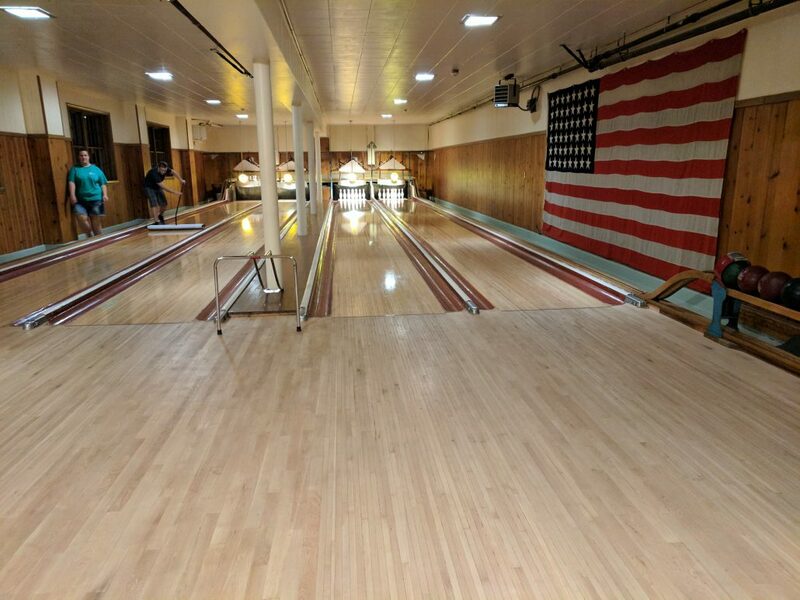 They have an amazing vintage bowling alley here, and I try to visualize how the tired and knackered miners used to spend their short evenings here, having a little fun before passing out. And that’s exactly what we do too! We bowl, have great fun, and then pass out. Now the good news is, the wind is changing! He now blows from the West and, brings fresh air from the sea and cleans out the air. That’s the best news we can think of! We can even see the sky again above the village. 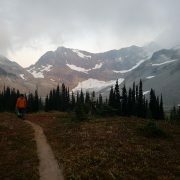 So we hike out, up towards Cloudy Pass, where we will be re-joining with mother PCT tomorrow morning. 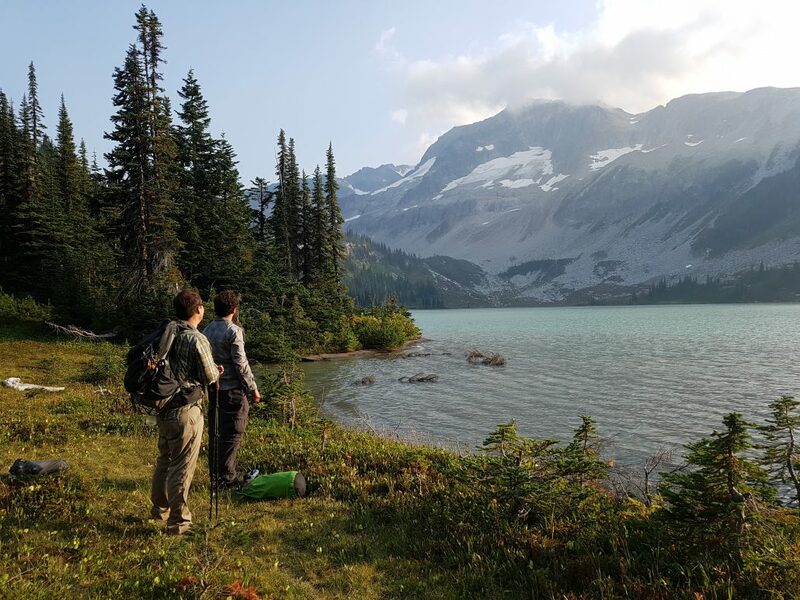 Tonight, we camp by this outstandingly jaw dropping lake, fed by glacier water! 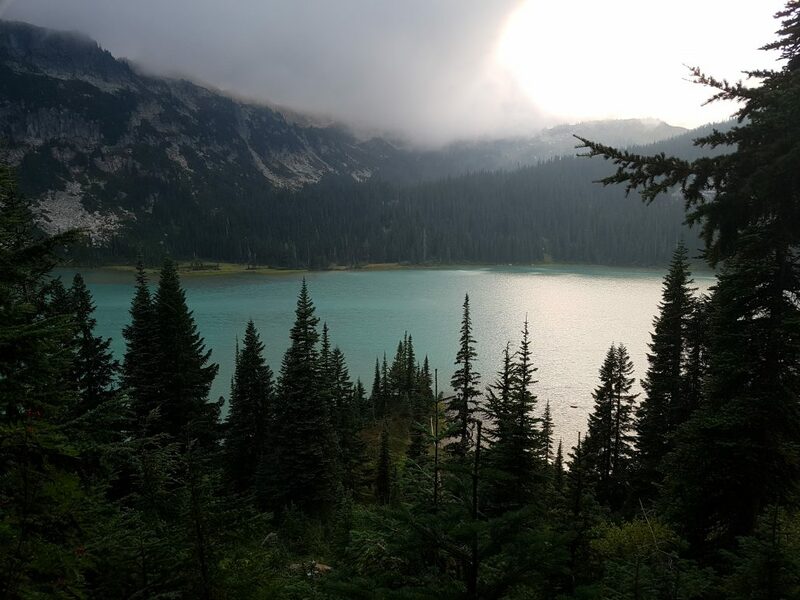 The lakes in Washington get definitely 10 points out of 10! Felix and I seem not to be tired enough from our today’s hike, so we check out the surroundings before it gets dark. It’s awesome up here! Cloudy, crispy cold, and truly awesome. We go back to our tents and get some sleep. 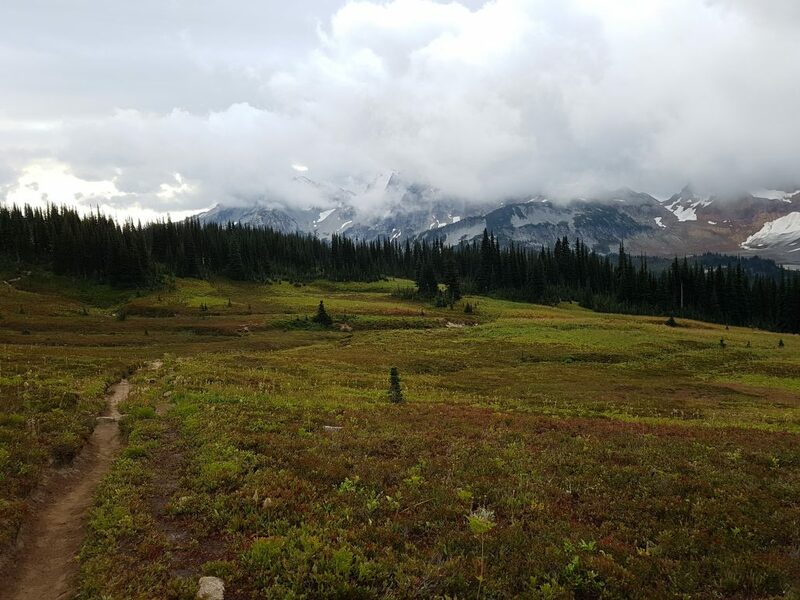 We make it to Cloudy Pass alright. Now it’s only a mile or so back to the PCT. Did I tell you that there are several other fires on the PCT behind us, where we have hiked, and where the PCT is closed now? 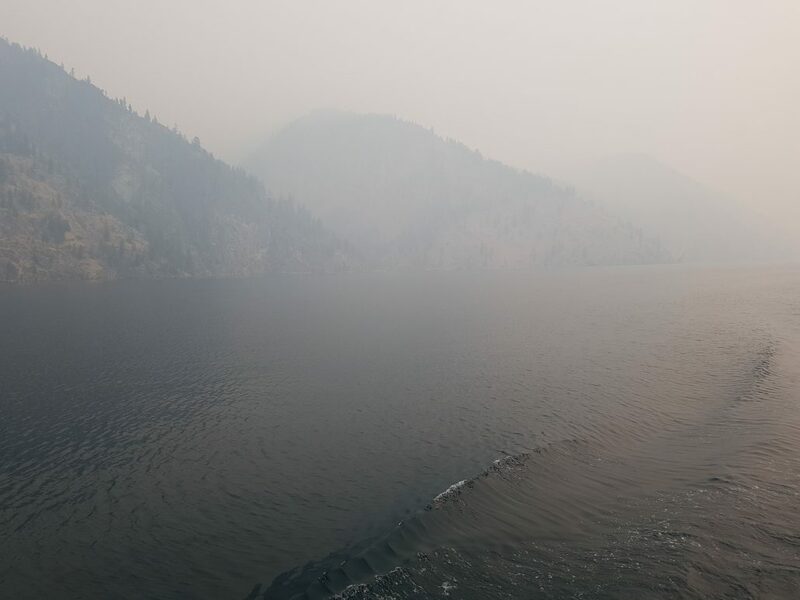 There are fires in Seiyad Valley, Crater Lake, Three Sisters, Cascade Locks (right were the Bridge of the Gods is) and many more. So many awesome parts of the PCT are closed for now. Oh my! The PCT year, class 2017, is definitely one of the harder ones with the epic snow, the never ending heat waves, and now all these fires (some caused by lightning, some causes by stupid human beings). For now though, as long as the wind keeps blowing from the West, we can probably make it to Canada just fine. We are now almost in Stehekin. 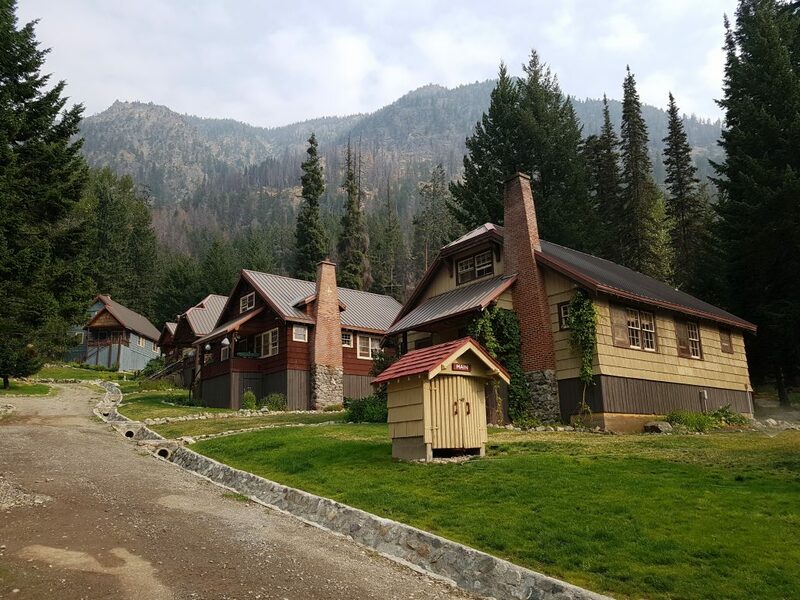 Now Stehekin is another of these must-see famous PCT villages, in case one makes it this far north. 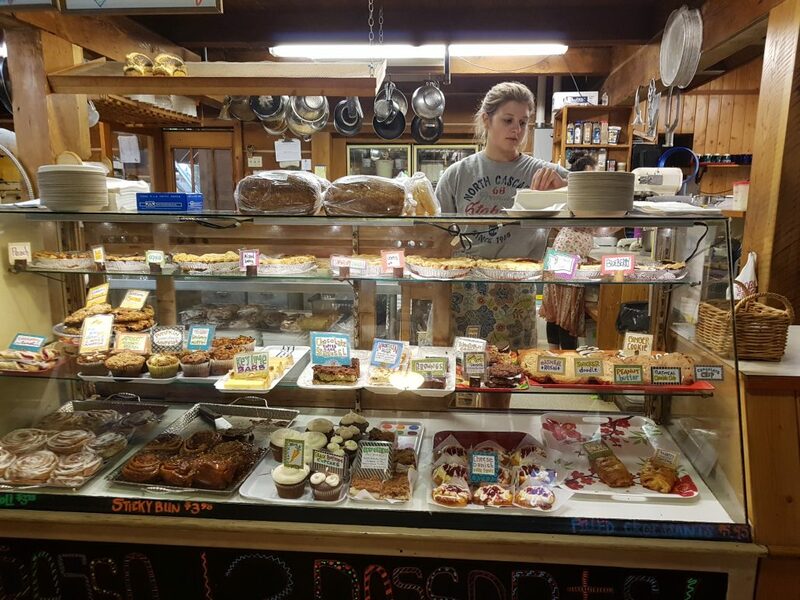 The oh so famous bakery is there, which makes these huge Cinnamon Rolls, of which every PCT hiker has heard of. 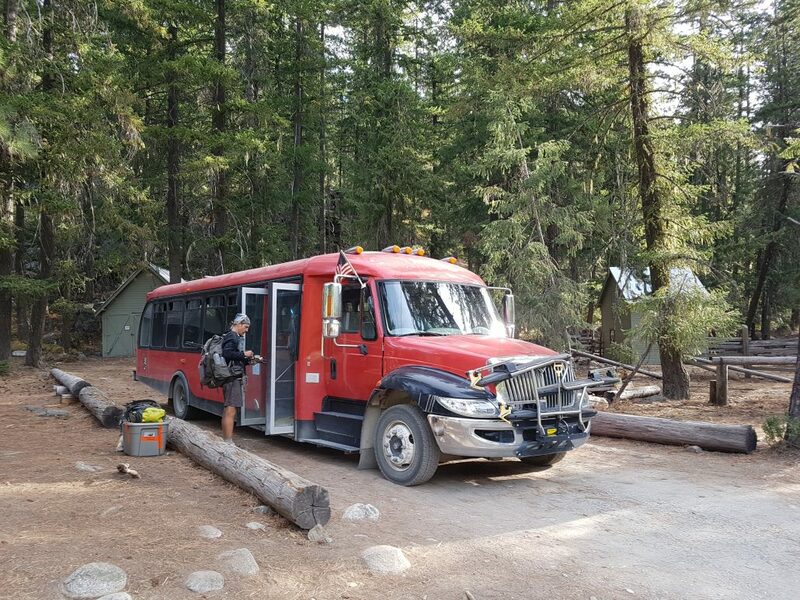 There is indeed a National Park Bus which runs 4 times a day from the trail head to “town”. We specially get up at 5 am this morning and start hiking with our headlamps strapped to our heads, so that we have enough time to make it to the 9.15 am bus. Other hikers seemed to have had the same plan! 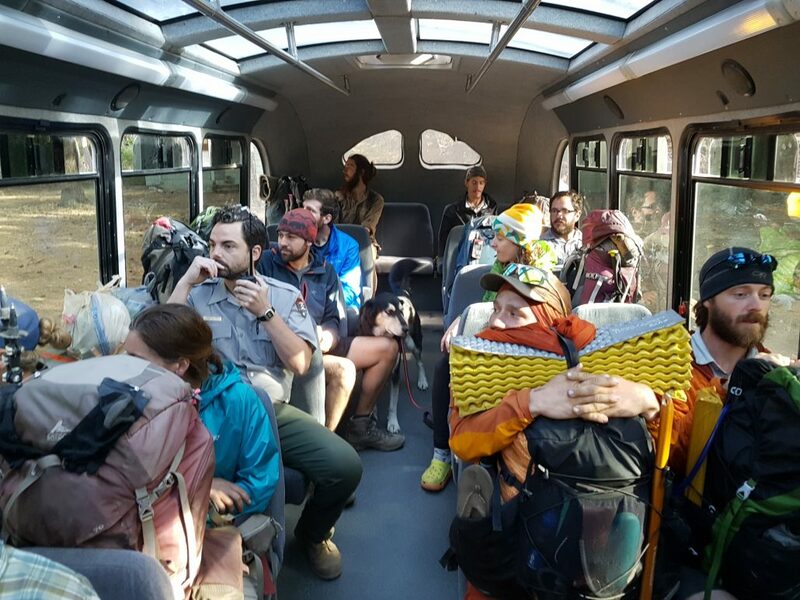 We even see hikers on the bus which we have last seen around Crater Lake and Shelter Cove (Chopper and County Dump). It is so funny how one sometimes does not see fellow hikers for months and suddenly bumps into them again. Perhaps they were always just a day behind or in front of us. It smells rather bad in this bus I have to say. Somehow the smell reminds me of old cheese. So here we are, ordering goodies at THE bakery and I even splurge myself with a real Cappuccino! Only 80 miles left now. Hope the fire at the border will not become a deal breaker…. You will certainly reach your aim to hike until CANADA! Wish u 3 all the best for the rest…. Go Heidi! so much fun to read your blogs!! Up late and with a rotten cold but cannot help myself to read your latest instalment on the PCT. Wow! your pictures are incredible!! 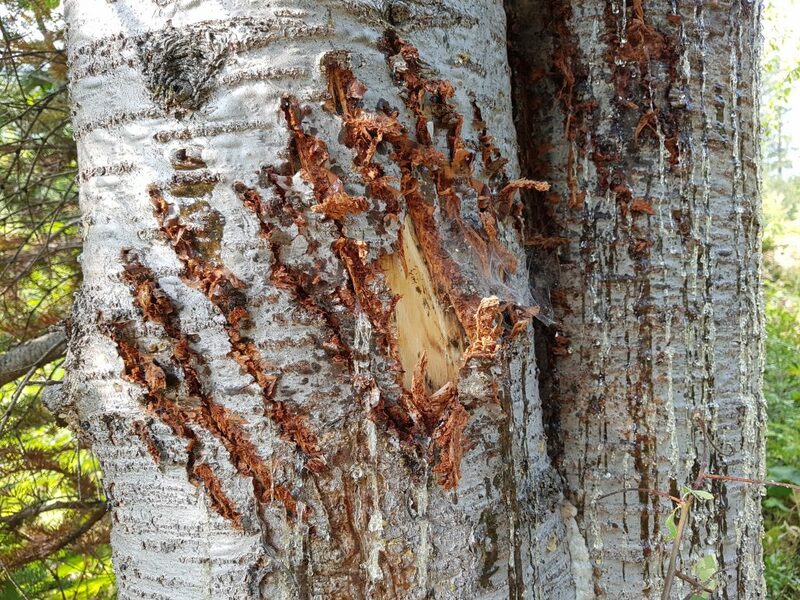 That bear tree scratch was impressive. Gulp! Looking forward to your return and all the details. That is going to take loads of coffees! Good luck to you and your “walk mates” for the next steps in your epic adventure!